Founded in 2010, Carbon Dynamic has become a world leader in modular offsite timber manufacture. At Carbon Dynamic we design and manufacture beautiful timber modular buildings with exceptional levels of insulation, airtightness and sustainability. We’re dedicated to providing cost effective, low energy buildings using locally-sourced and sustainable materials. At Carbon Dynamic we believe that by raising standards we're raising expectations and creating a demand for better buildings. 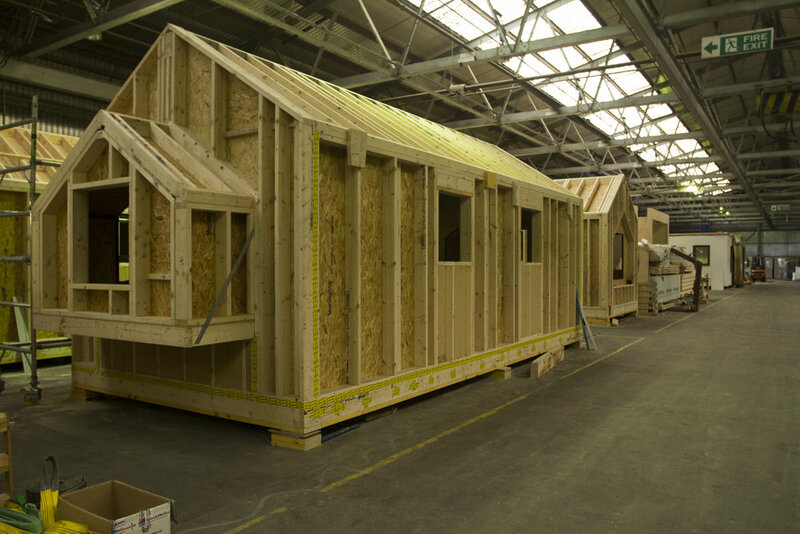 Carbon Dynamic’s off-site system consists of fully-fitted, highly insulated timber modules, prefabricated and pre-tested in our factory and then transported to site where they can be assembled and completed in a few days. All our modules are designed with a breathable external skin and airtight internal skin and exceed industry standards in their U-values, air-tightness and acoustic performance. Typically our buildings use less than 7% of the energy required by an average home. From the very first meeting our aim is to leave you feeling confident, excited and inspired. We'll begin with an inital meeting to discuss every aspect of your project and plans. We'll ensure a clear design brief is produced to guide the production of your new building and that our drawings enable you to fully understand every aspect of the design and process. Your building will then be manufactured by our skilled craftsmen in our factory in Invergordon. We carry out checks at 8 crucial stages in the manufacturing process and put as much effort into getting the first fix right as we do the finishes. Your building will be tested for air-tightness and - if required - acoustics before it leaves the factory. Using a combination of cranes, all-terrain forklifts, loaders and even - for very remote sites - helicopters, your low energy building will be transported to site. There it will be carefully lowered onto pre-prepared, low-impact foundations. On average buildings can be installed on site in just a few hours, making it an exciting, but completely stress-free process.